I’ve been to Scotland lots, to go up mountains and gaze at lochs and eat tablet. But I’d never been to Edinburgh, which seemed silly. So I went. It’s gorgeous, Edinburgh. Beautiful architecture, a castle, a socking great mountain in the middle of the city. It is also SCARY AS A SCARY THING. Sure, there’s all the obvious stuff: Burke & Hare, witch duckings, haunted alleyways and plaguey streets full of poo. (Check out this little lot. Brr.) But don’t bother with any of those ghost tours where a man in a funny hat will make ‘wooooo’ spooky noises at you while you quiver in Fleshmarket Close. 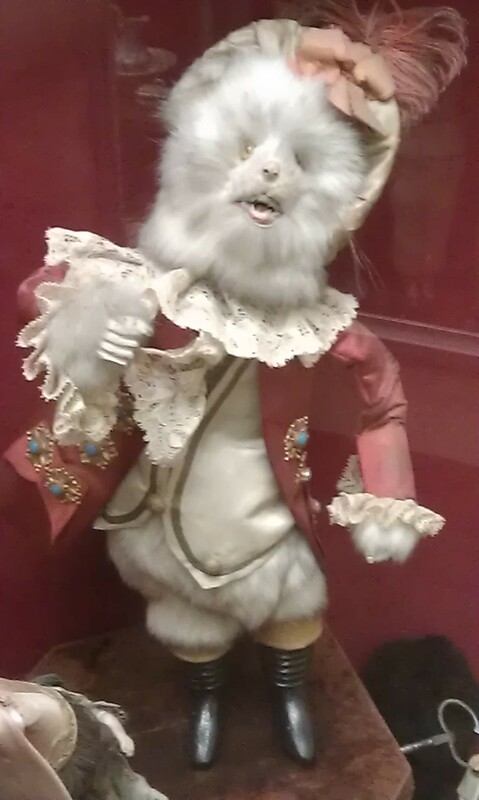 For full-on nightmare fodder, get yourself to the Edinburgh Museum of Childhood. Yeah. The Museum of Childhood. Galleries filled with jolly old toys from bygone days. A fun place for all the family, right? I was fine with the dolls’ houses, and the tin cars; even the 10p automaton ‘Guillotine’, where a little wooden man’s head gets chopped off. Then I stepped into Gallery 3. 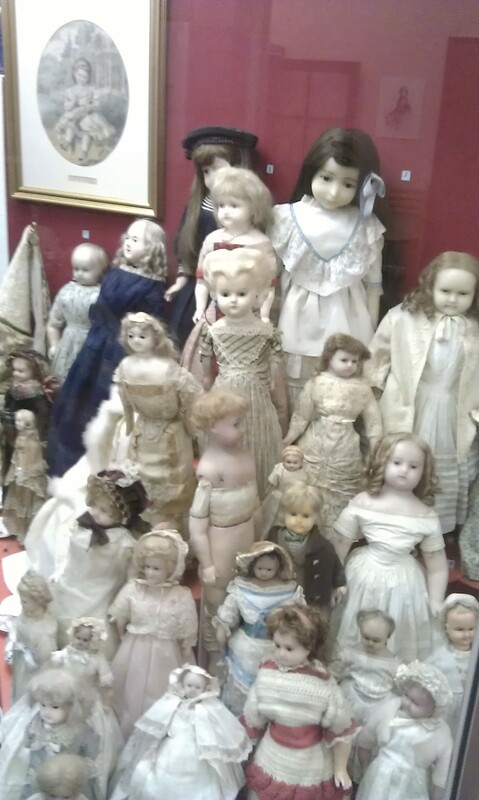 The Room of the Dolls. I’ve always found those Nutcracker stories where toys come to life the moment your back is turned quite worrying. Perhaps it’s because I saw Barbarella at a tender age. 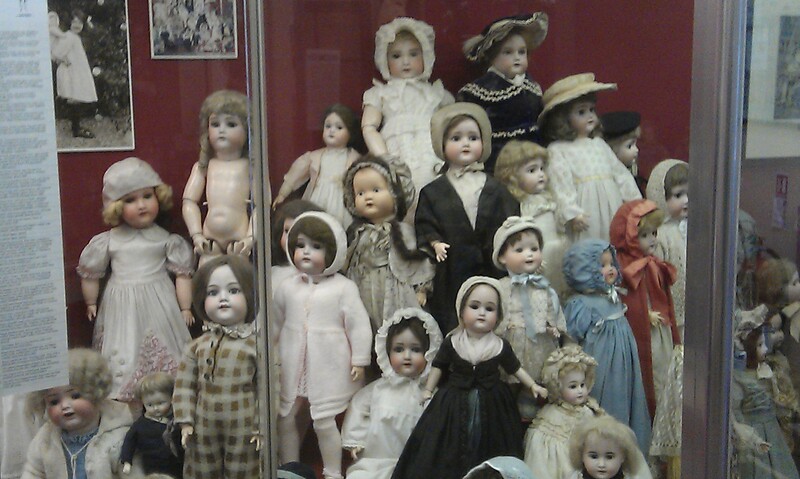 Perhaps its because LOTS OF DOLLS ALL AT ONCE ARE FLIPPING SCARY. It’s an army of dolls. Killer dolls. Killer dolls with wax faces and real human hair. I’m not sure which is creepier: the fact that when I took that photo, my camera recognised lots of them as real human faces – or the fact that for several it didn’t. Never have I so thoroughly felt like a bit-part in Act 1 of a Doctor Who episode, waiting for my screamy close-up before my strangely nibbled-upon dead body is found askew on the stairs. The horrifying doll army was biding its time, however, so I forged on, past the weird case full of pandas, past Raggedy Ann and the ‘Frozen Charlotte’ tiny china dolls (seriously: who names these things?! ), determined to stick it out. 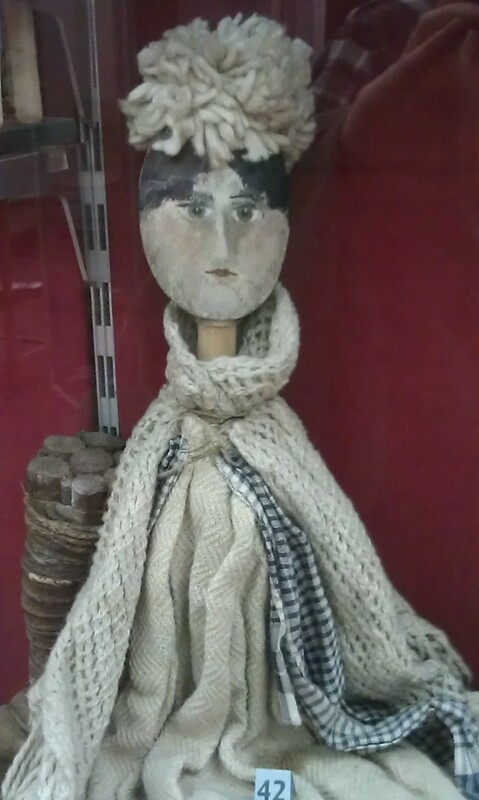 Then I found the case full of pseudo-dolls, the ones made from an old clog or a wooden spoon. I’m going to go out on a limb and say that the dress really is doing all the work there. And also: AAAAAAAAIIIIIIII RUN RUN NOW GET ME OUT OF HERE HEEEEELP. so I fled and drank a very big cup of tea, and went to the Writers’ Museum which was full of calming things like a chair Robert Burns probably sat in. The next day I went up Arthur’s Seat in the sunshine, where there were no horrifying doll armies of death at all, just a lovely view. I also got to eat burgers with the very brilliant UKYA author Cat Clarke, being all nosy about her next book (oh how I love talking to writers whose stuff I adore) – and I spent a cheery morning in a certain cafe connected to a certain other Edinburgh-based author, though you’ll have to wait till my next post on Girls Heart Books for more of that. It’s gorgeous, Edinburgh. I had a lovely time. I’m just probably never going to sleep ever again. 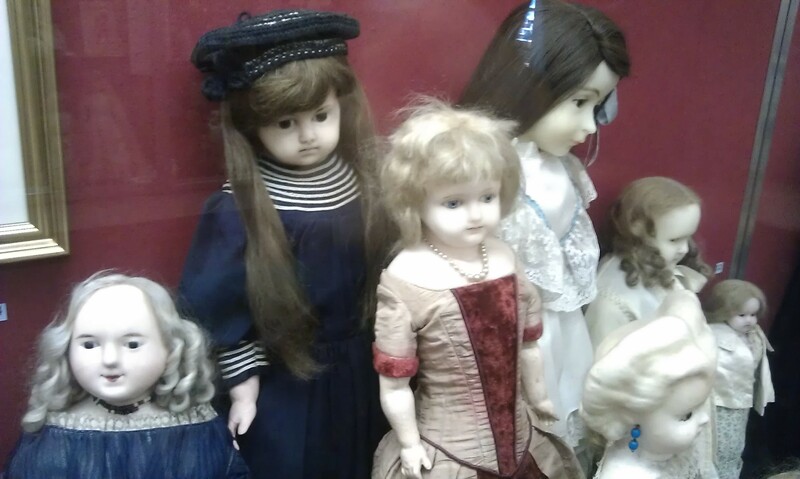 Those dolls are terrifying! I had to scroll quickly past that bone one Think I’ll learn from your experience and give that museum a miss when I visit Edinburgh one day. Glad that the rest of your trip was lovely! It is a lovely museum and well worth a visit, honestly! It’s just somewhat creepifying. 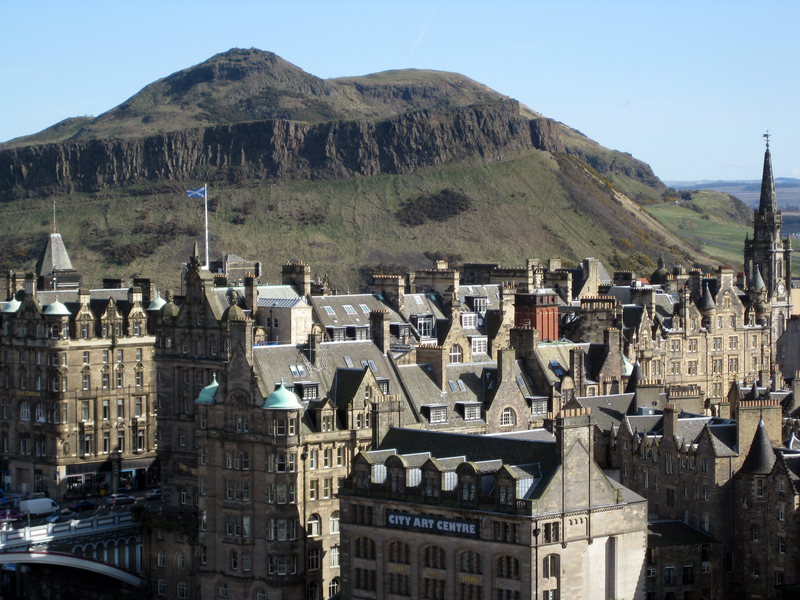 Totally recommend Edinburgh, though: still have a big list of stuff to go back for. Snort. See now I have tea all over my keyboard. My goodness, did a child really play with a meatbone?! I made the mistake of watching Harry Potter and the Woman in Black this weekend, and with this now added I won’t be sleeping until at least October, and then I’ve got Halloween to contend with! I accidentally went to watch a spooky film about psychic phenomena on the same day as Dollmageddon. Unwise. 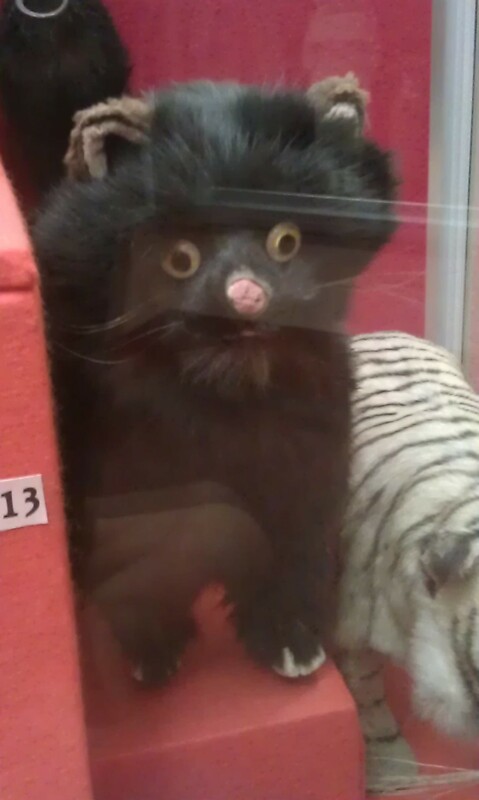 Apologies for contributing to your nightmares! 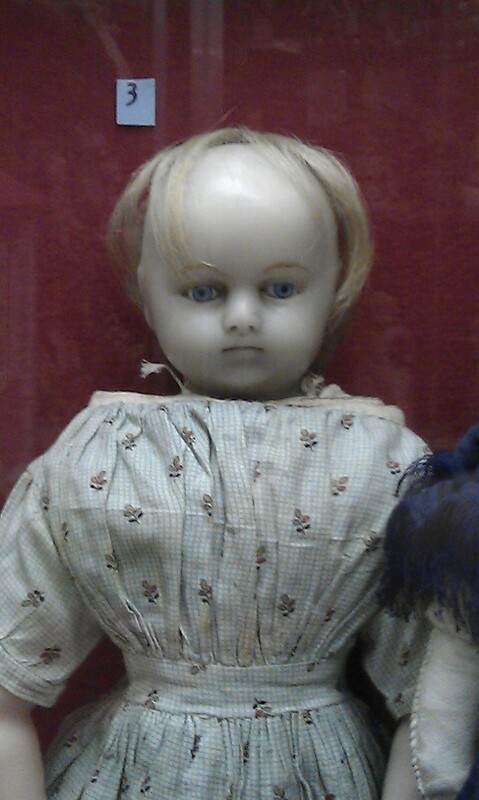 I’m imagining the glass cases were, in this particular instance, not to protect the dolls but rather the museum go-ers. Very creepy. 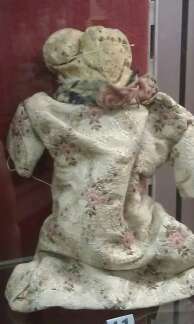 Meatbone doll – probably still got flesh hanging onto it under the dress. Eeek! Now I’m even more scared! I love the V&A children’s museum in London with all the doll’s houses! Tiny furniture = NOT SCARY.